Did you know that there are six recognized breeds of dairy cattle? In New Jersey and many other states in our country, black and white Holsteins are the predominant breed because of their higher production levels. But in other parts of the world, other breeds are often more common. Most of the dairy breeds are from the British Isles or European countries. A good place to start the New Year is with learning about the breeds. This information will help 4-H members if they are interested in participating in Dairy Bowl or Dairy Judging this year. A really good resource for this topic can be found on the Purebred Dairy Cattle Association website. The Ayrshire breed originated in the County of Ayr in Scotland prior to 1800, with the first animals being imported to the United States around 1822. The breed is medium in size with red and white markings. Dairymen often appreciate Ayrshires because of their feed efficiency, udder quality, longevity, and ease of care. They produce a high quality milk. The Brown Swiss is from the mountains of Switzerland and is one of the oldest dairy breeds. The first Brown Swiss came to the United States in the winter of 1869-70. Because of its larger size and sturdy build, Brown Swiss have also been used for pulling carts in ancient society. Today’s Brown Swiss are known for their easy going temperament and the high protein content of their milk, which is good for making cheese. Milking Shorthorns are one of the oldest dairy breeds, originating from Northeastern England in the Valley of the Tees River. In 1783, the first Milking Shorthorns entered the United States. The breed is best known for its versatility. These docile animals efficiently convert feed into milk and have a long productive life. The animals are also known for their ease of management and calving. The Jersey breed originated on Jersey Island, another of the Channel Islands located between England and France. The Jersey is one of the world’s oldest dairy breeds. The first Jerseys were brought to the United States in 1850. Jersey’s average 900 pounds in body weight. The Jersey produces more milk per pound of body weight than the other dairy breed. Jersey milk has the highest concentration of milk solids – including protein – of any of the major dairy breeds. The Holstein cow originated in Europe, and was imported to the United States from Holland in the mid 1800’s. Holstein cows are either black-and-white or red-and-white. This larger breed should weigh 1,500 pounds when mature. They also have the highest milk production. Average production for Holsteins on official testing programs is 22,540 pounds milk and 819 pounds butterfat. 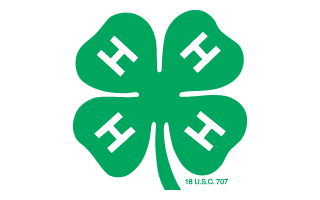 Written by Carol K Ward, County 4-H Agent, Rutgers Cooperative Extension.